Las Vegas, Jan 7 (IANS)- Dell subsidiary Alienware unveiled at CES 2019 here its thinnest and lightest 17-inch notebook with Alienware m17. Alienware m17 is 40 per cent lighter than its predecessor, weighing only 2.6 kgs. Available in epic silver and nebula red colours, the m17 derives its light strength from such premium materials as magnesium alloy and copper, Dell said in a statement on Monday. The laptop is powered by 8th-gen Intel Core i9K processors and NVIDIA GeForce RTX 2080 Max-Q graphics processing units (GPUs). 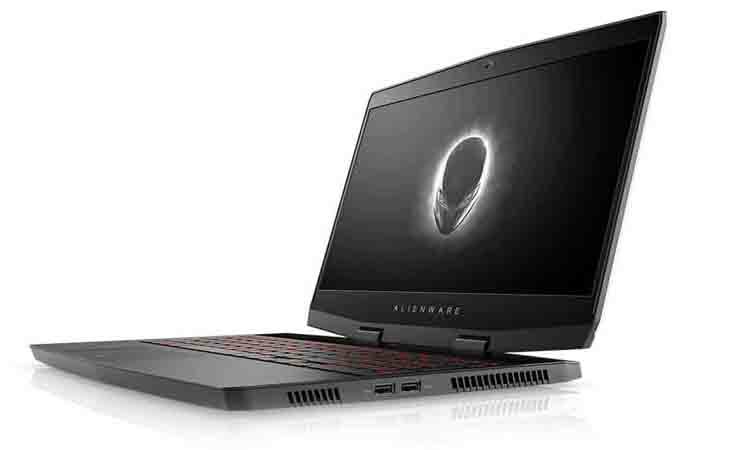 The Alienware m17 follows the recent launch of 15-inch Alienware laptop, the Alienware m15, which is custom-designed for gamers on-the-go who value lightness and thinness. With the power to run high-graphic games, m15 features 8th-gen Intel Core i5/i7 and now i9 CPUs featuring dynamic CPU overclocking alongside NVIDIA’s GeForce RTX 20 Series graphics.